The Monte Carlo Rally covers 1 366km and there are 16 special stages. Tomorrow the 2019 World Rally Championship gets underway with the Monte Carlo Rally, the oldest event on the WRC calendar. This year the event will start in the town of Gap, capital of the Hautes-Alpes area in southeastern France. The shakedown stage will be run tomorrow morning and the rally itself will see the 84 competitors tackle two special stages later that night after the ceremonial start in the town centre. There will be an overnight halt at the Gap central service park. The teams will face a total of 1 366km with 16 special stages totalling 323km, the final two being held on Sunday after a 320km liaison section to the Alpes-Maritimes above the Monaco principality. These stages will comprise two passes over the legendary Col de Turini, probably the event’s most popular spectator point. It is not just the roads that make the Monte Carlo so challenging. Run predominantly on tarmac surfaces, the route can be transformed within hours due to weather, with snow and ice not unusual. This year’s rally will be the first opportunity to follow the new team structures, as it really has been a case of musical chairs since the end of 2018. Thierry Neuville (Bel)/Nicolas Gilsoul (Bel); Andreas Mikkelsen (Nor)/Anders Jaeger (Nor); Sebastien Loeb (Fra)/Daniel Elena (Mon) and Dani Sordo (Spa)/Carlos del Barrio (Spa). The team retains Neuville and Mikkelsen for all 14 rounds of the 2019 season. Nine-time WRC drivers’ champion Sebastien Loeb is set to drive in six events, Dani Sordo will team up for the remaining eight rounds of the title chase. Kris Meeke (GBR)/ Sebastian Marshall (GBR); Ott Tanak (EST)/Martin Jarveoja (EST) and Jari-Matti Latvala (Fin) /Miikka Anttila (Fin). Jari-Matti Latvala and Ott Tanak will continue with the current constructor’s championship holder and are joined by Kris Meeke. Meeke was dropped by the Citroen team mid-season in 2018 and will be out to prove that was a big mistake on their part. Teemu Suninen (Fin)/ Marko Salminen (Fin); Pontus Tidemand (Swe)/Ola Floene (Nor); and Elfyn Evans (GBR)/Scott Martin (GBR). Team chief Malcolm Wilson and his company M-Sport have been with Ford for 22 years but lacked the funding to continue in WRC for 2019. However, co-operation with the manufacturer ensured they will remain in WRC this year. 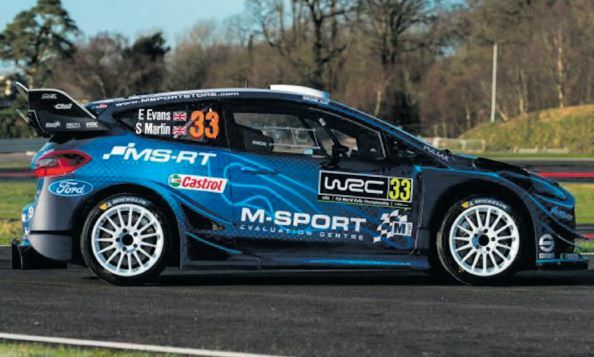 Fielding a two-car team, with Suninen and Evans for the 14 rounds, M-Sport have committed M-Sport will be running their two Ford Fiestas on a tight budget to a third for the first two rounds to be driven by 2017 WRC2 champion Pontus Tidemand. Sebastien Ogier (Fra)/Julien Ingrassia (Fra) and Esapekka Lappi (Fin)/Janne Ferm (Fin). An entirely new line-up for the French team, with six-time and reigning drivers’ champion Sebastien Ogier returning to the marque where he began his WRC Reigning champ Ogier returns to Citroen career back in 2008. Whether the French team have the car to allow Ogier to fight for the title will be the big question, The Frenchman is joined by Esapekka Lappi formerly with Toyota Gazoo Racing and a man who has shown his capability of running at the top. The new season should prove unpredictable and exciting; new cars and crews will make it a WRC year worth watching.